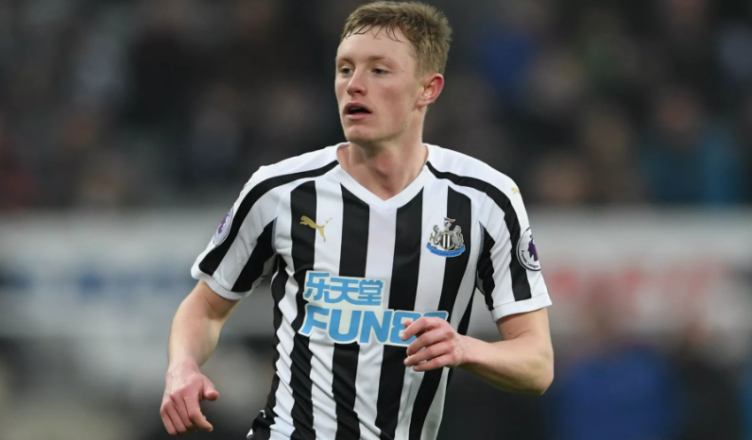 Sean Longstaff targeted by Premier League big boys as scouting mission is confirmed – Report – NUFC blog – Newcastle United blog – NUFC Fixtures, News and Forum. The Guardian have confirmed that Tottenham Hotspur have been sending scouts to watch Sean Longstaff – with them keen to sign ‘prospects’ under the age of 23 this summer. This should come as no surprise given the 21-year-old’s impressive form following his breakthrough into Benitez’s first team since the turn of the year. He suffered a season-ending knee injury in the defeat to West Ham earlier this month, but anyone watching him between January and March would’ve had him down as a seasoned Premier League midfielder – despite the fact he’s made just NINE top flight appearances. The piece also confirms that fellow U-23 talents Jack Grealish (Aston Villa), Jarrod Bowen (Hull), David Brooks (Bournemouth), Max Aarons (Norwich), Kieran Tierney (Celtic) and Harvey Barnes (Leicester) have been tracked by Spurs scouts, but it’s no surprise that Longstaff has caught their eye. It would take a huge bid to prise him away from St James’ Park given how good he’s looked – both on and off the ball – but he’ll be in no rush to leave after finally breaking into the first team of his boyhood club. The greedy Fat Man will cash in.